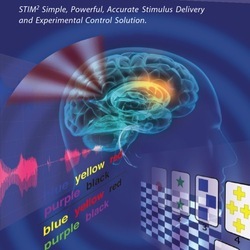 Tools designed for sensory, cognitive and neurophysiological tasks. The stimulation can be visual, auditory or a combination of the two depending on the product and paradigm. All tools can be used as standalone stimulation or integrated with the Neuroscan EEG amplifiers for Event Related Potentials (ERP) and Evoked Potentials (EP) investigations.